Aussie dads choose babies over mates. The country that coined the term “mates” seems to be neglecting them. Australian men are spending less time with their mates and more time with family, according to a new study. The Sunday Telegraph reported 35 per cent of men aged 20-40 are spending less quality time with friends than three to five years ago. Paired with the lowest alcohol consumption levels in 5o years, Aussie guys are spending 30 per cent less time at barbecues and watching 29 per cent less sport together. According to the survey commissioned by Bundaberg Rum, friendship comes in fourth place on the modern young man’s list of priorities. Family, work and health and fitness are superseding mates as top priorities. “Families comes first, they always will. But people don’t realise that friends are also family,” says Sydney father, Luka*. The 33-year-old father of one, says being an involved parent leaves makes it difficult to spend time with friends. Dads wear their babies and dance – courtesy of GroovaRoo Dance. Post continues after video. Luka says it’s important for him to have friends outside of the family. Some academics are applauding the shift. 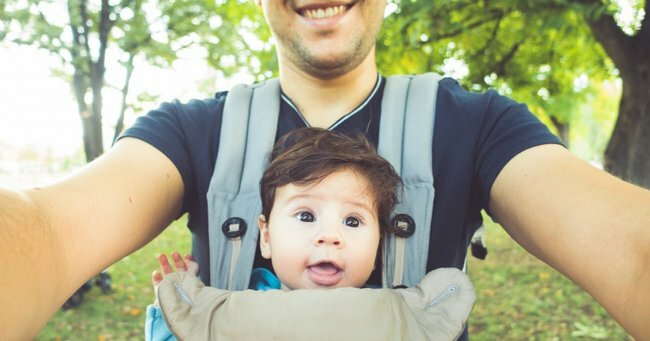 “If these figures mean that men are spending more time with their children then that’s not a bad thing,” said Professor John Macdonald, Director of the Men’s Health Information and Resource Centre. “Time with children is obviously precious and good for the whole family,” he added. Although less drinking may be a positive for families, spending less time face-to-face with friends “isn’t healthy”. “[Studies show] having social support build your immune system and not having social support diminishes your immune system. It’s as clear as that,” said Professor Macdonald. Social support can lower stress levels and provide a sense of belonging, he says. “Did you know Mamamia has a parenting podcast? Join Holly Wainwright and Andrew Daddo as they discuss the glorious mess that is family life. It’s the perfect podcast for non perfect parents.